Want to add extra space to your home without extending, and create room for relaxation or working from home? A clear view – not surprisingly, customers want to be able to maximise the view of their garden, so large bi-fold doors are a must. If you enjoy a sunrise or sunset, then we work with you to ensure we position the garden building in the best spot and our contemporary garden rooms come with bi-fold doors as standard. Quality finish – homeowners are becoming increasingly savvy about the standard of finish in garden buildings, wanting so much more than a posh shed. Our buildings are built from solid log which means they do not need to be finished in plasterboard or MDF, and as soon as you walk into one, you can see and feel the high quality of finish. Office on your doorstep – most customers want a space they can work from home in, often needing to get out of the third bedroom or a cramped corner in a dining room, and away from the kids. We can advise on the best model and size of building to accommodate your lifestyle needs, and fit to the shape of your garden. 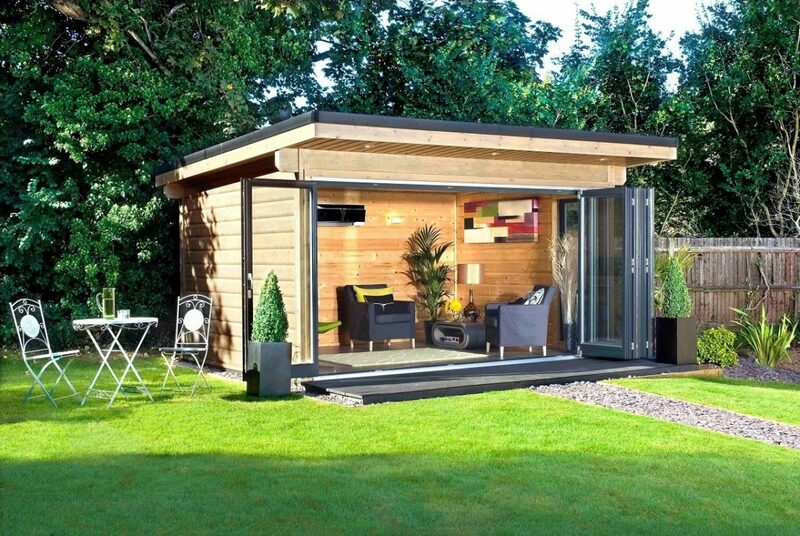 Space to chill and craft – relaxation, working out or gaming are always popular pastimes for garden rooms but at Norwegian Log we are also seeing a rise in crafters. Our garden rooms make ideal art studios or craft workshops. Don’t forget the smell – without fail, all our customers comment on the calming, natural pine smell of our log buildings. And they love it! So, no need for expensive aromatherapy candles.